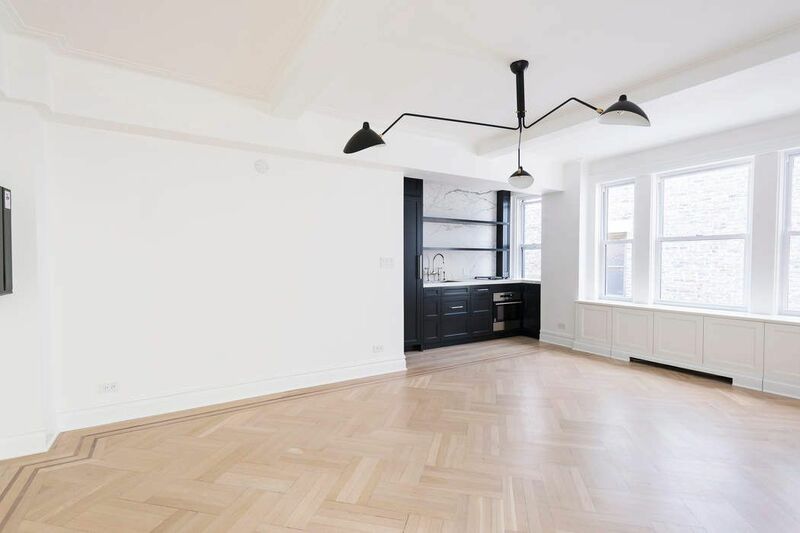 28 East 10th Street Apt 11J, New York, NY 10003 | Sotheby's International Realty, Inc. LEASE SIGNED. 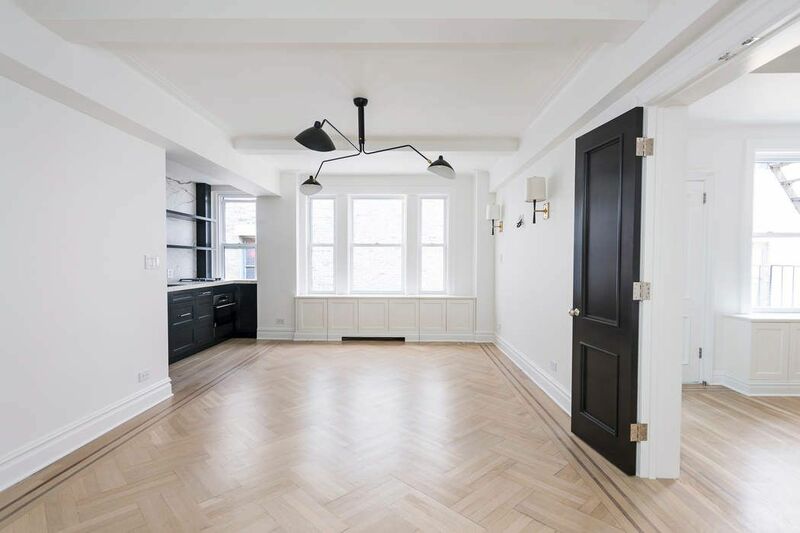 Be the first person to live in this exquisitely renovated 1 bedroom / 1 bath prewar condominium at the Devonshire House. 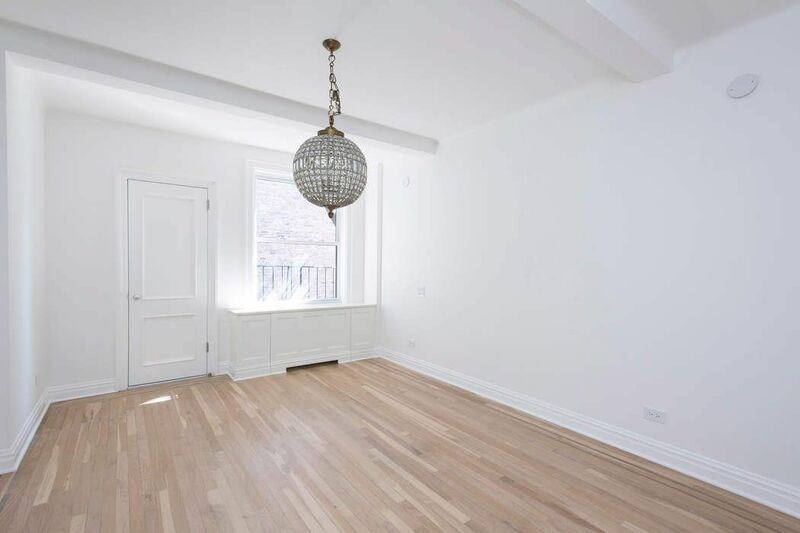 No expense was spared creating this 11th floor home - a perfect blend of modern finishes with old world charm that makes living in Greenwich Village so special. The kitchen has been outfitted with high end appliances including Sub-Zero refrigerator with ice maker, Wolf gas cooktop, Wolf self-cleaning oven, and Bosch stainless “ultra quiet” dishwasher. The countertop is a beautiful honed Italian porcelain. All of the fixtures and hardware are polished nickel. The bathroom has a large stall shower, gorgeous marble tiling, and sink by Lefroy Brooks. The wood floors are in perfect condition. 2 wall-mounted televisions provide entertainment. 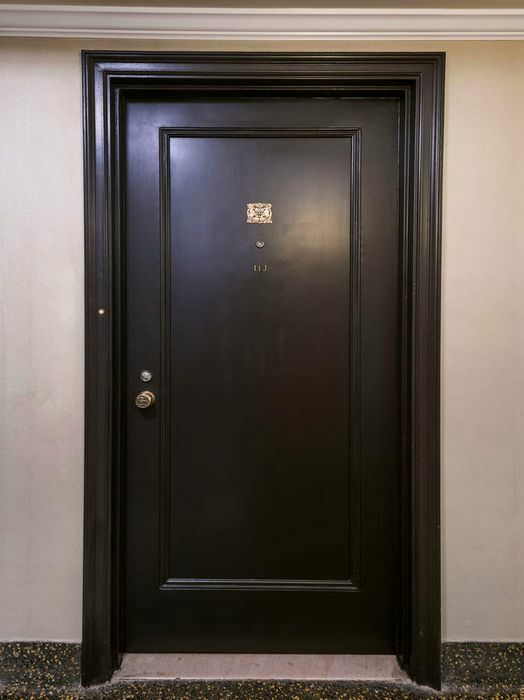 Devonshire House is an Emery Roth designed, classic pre-war condominium built in 1928 situated in the heart of Greenwich Village at the corner of 10th Street and University Place. The building is a blend of classic Italianate and English detailing with a notable Tudor style lobby featuring views over a tranquil courtyard garden. The location is incredibly convenient being central to some of the city’s best restaurants, shops and parks. Your choice of Subway line exists just a few blocks north at Union Square. Amenities at Devonshire House include a full-time doorman, resident superintendent, fitness center, childrens’ playroom, bike room, cold storage and an exquisitely landscaped rooftop terrace. Currently vacant - Available for 1-2 year lease with occupancy immediately upon the completion of condominium board review. LEASE SIGNED. 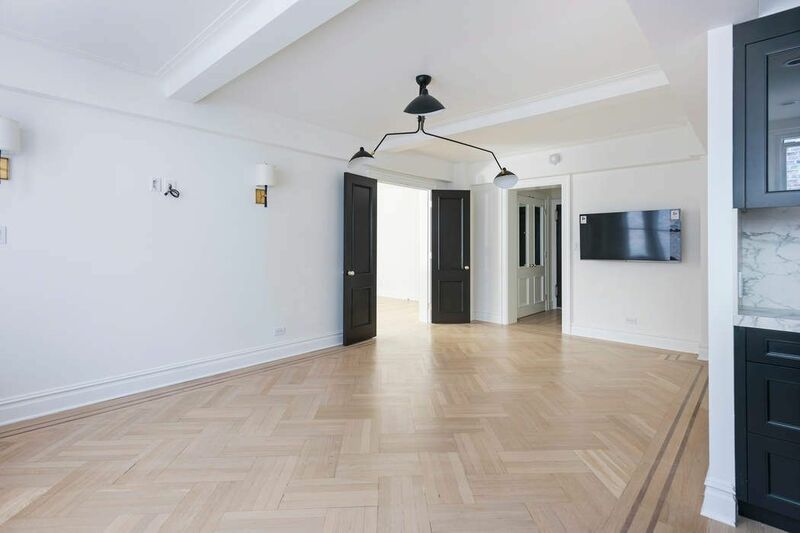 Be the first person to live in this exquisitely renovated 1 bedroom / 1 bath prewar condominium at the Devonshire House. 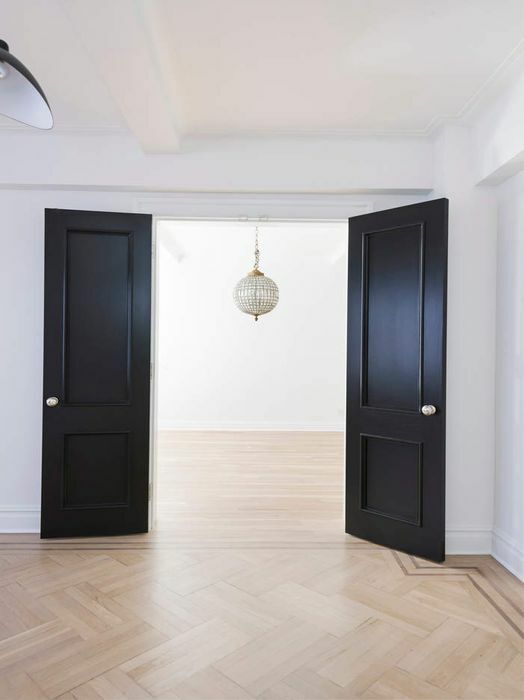 No expense was spared creating this 11th floor home - a perfect blend of modern finishes with old world charm that makes living in Greenwich Village so special. 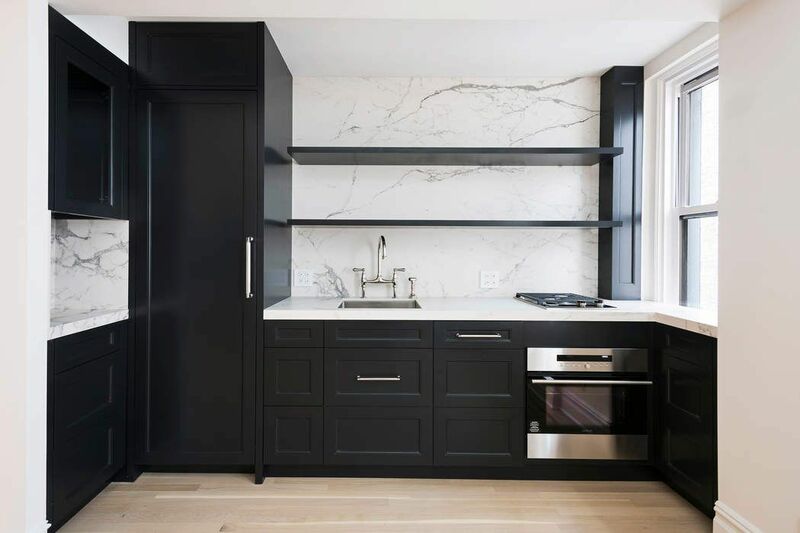 The kitchen has been outfitted with high end appliances including Sub-Zero refrigerator with ice maker, Wolf gas cooktop, Wolf self-cleaning oven, and Bosch stainless “ultra quiet” dishwasher. The countertop is a beautiful honed Italian porcelain. All of the fixtures and hardware are polished nickel. 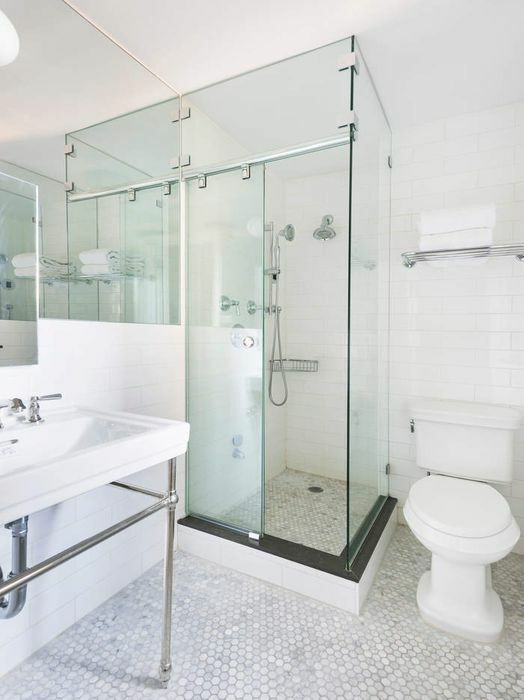 The bathroom has a large stall shower, gorgeous marble tiling, and sink by Lefroy Brooks. The wood floors are in perfect condition. 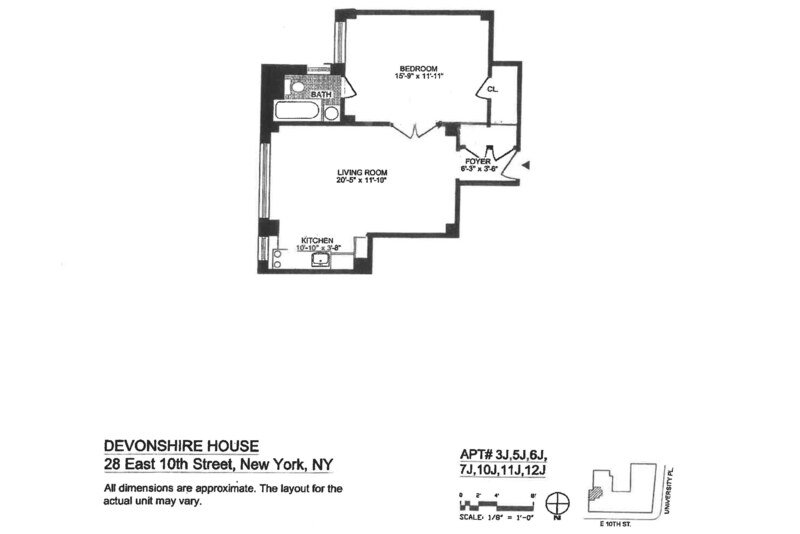 2 wall-mounted televisions provide entertainment.Devonshire House is an Emery Roth designed, classic pre-war condominium built in 1928 situated in the heart of Greenwich Village at the corner of 10th Street and University Place. The building is a blend of classic Italianate and English detailing with a notable Tudor style lobby featuring views over a tranquil courtyard garden. The location is incredibly convenient being central to some of the city’s best restaurants, shops and parks. Your choice of Subway line exists just a few blocks north at Union Square. Amenities at Devonshire House include a full-time doorman, resident superintendent, fitness center, childrens’ playroom, bike room, cold storage and an exquisitely landscaped rooftop terrace. Currently vacant - Available for 1-2 year lease with occupancy immediately upon the completion of condominium board review.